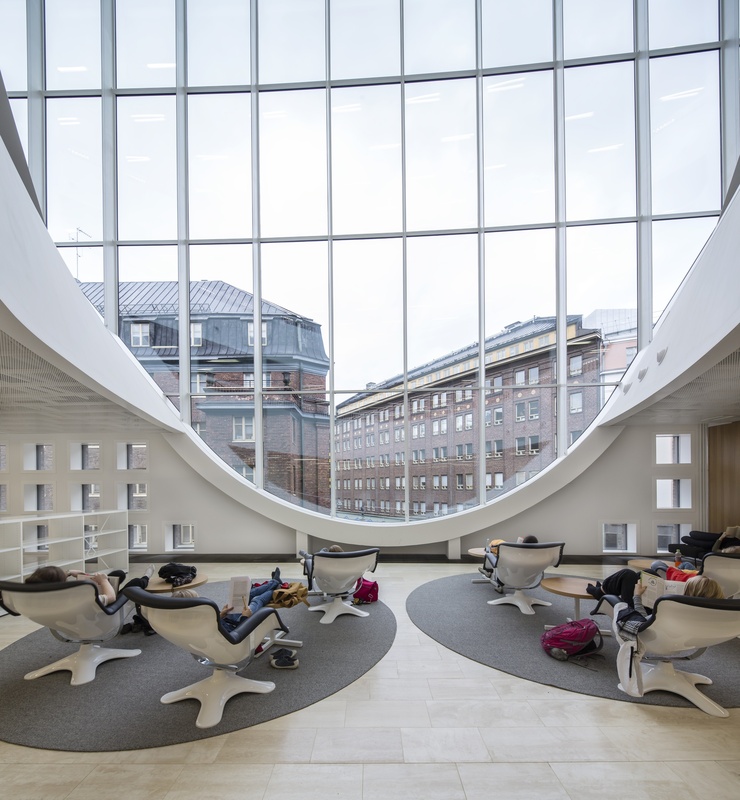 The Helsinki University Main Library represents state-of-the-art library architecture. 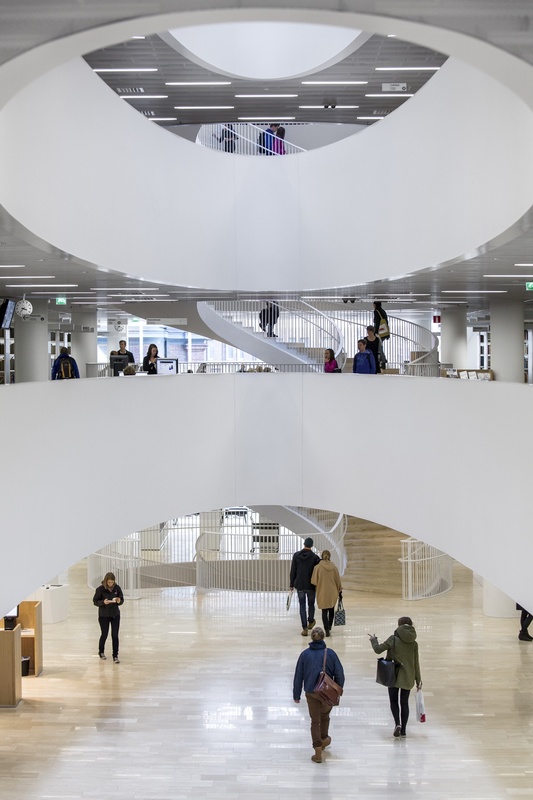 As the biggest university library in Finland, it serves the academic community as a modern learning and research centre and offers a meeting place for all citizens alike. The building, Kaisa House, is a large 11-storey red brick construction which is well engaged in the cityscape. 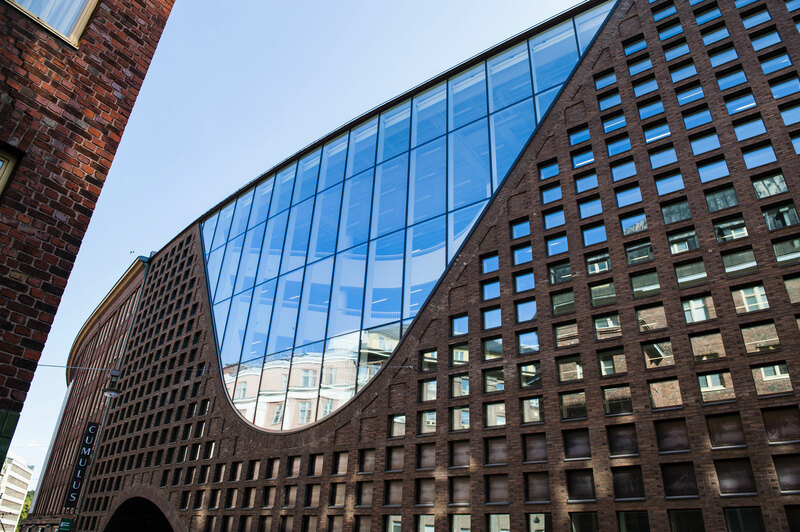 It adopts the materials, lines and levels of its densely built environment. The design of the interior is based on an aligned series of openings in the ceilings and along the street front. 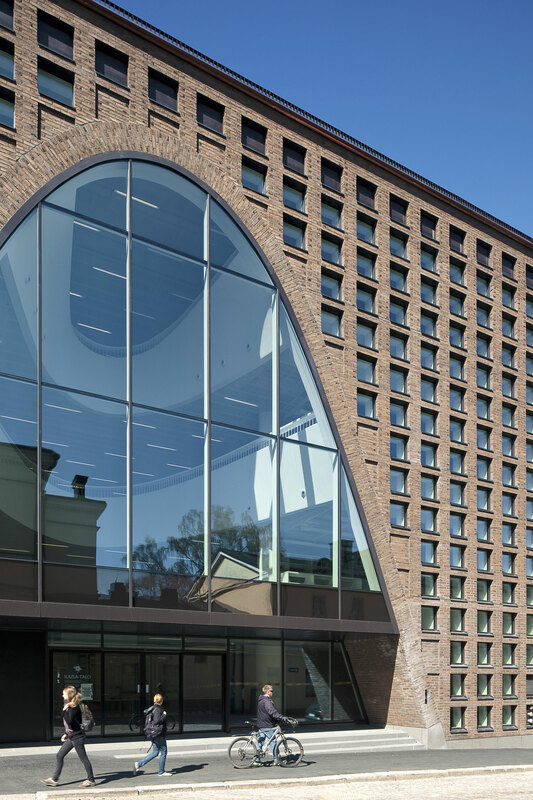 The large arched windows allow the spectacular views of the townscape from inside the building. 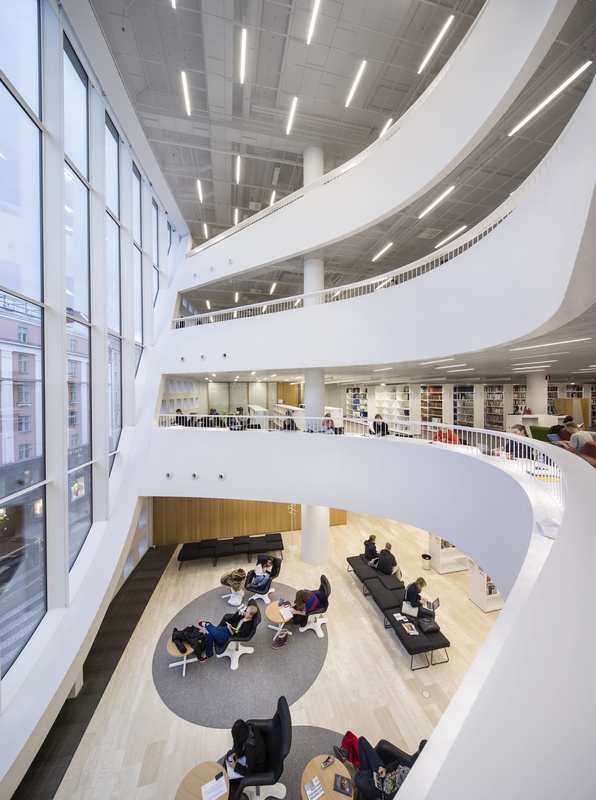 Three distinct apertures and the main staircase form a series of spaces that serve as a basis for the ambience of the interior, the functional zones and the architecture of the façade. The ground plan is based on clear, flexible floor levels. 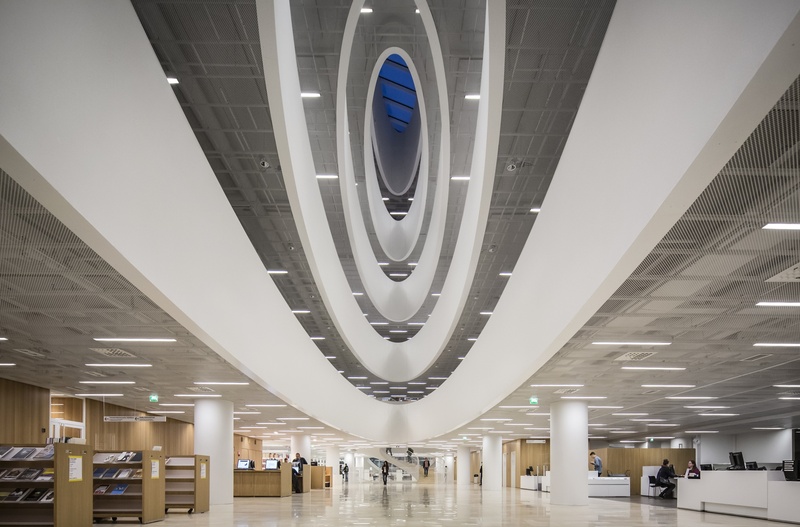 The facilities have been divided into functional zones and the spaces are encircled by walkways and the information zone, which in turn is surrounded by the collections zone. A soundproofed work zone provides different spaces for quiet reading and group rooms. Colourful furnishing defines the different areas, creating contrast with the light interior architecture. 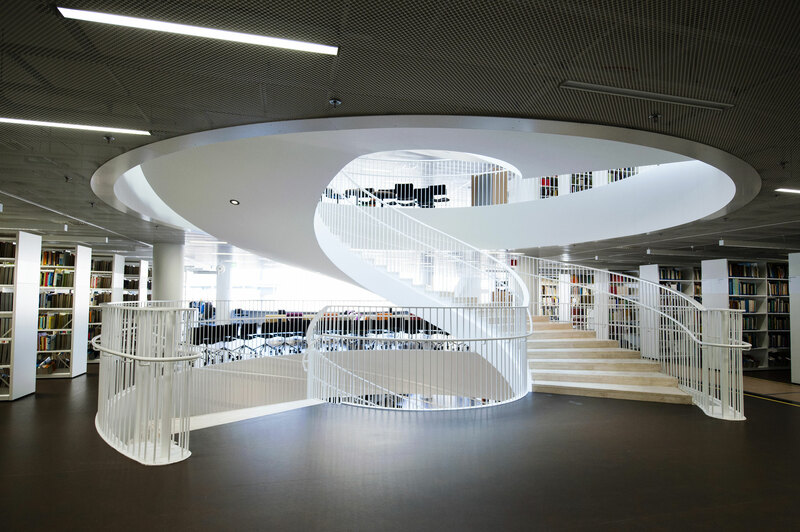 The Helsinki University Library has four campus libraries. The Main Library houses the City Centre Campus Library and the library administration and common services. 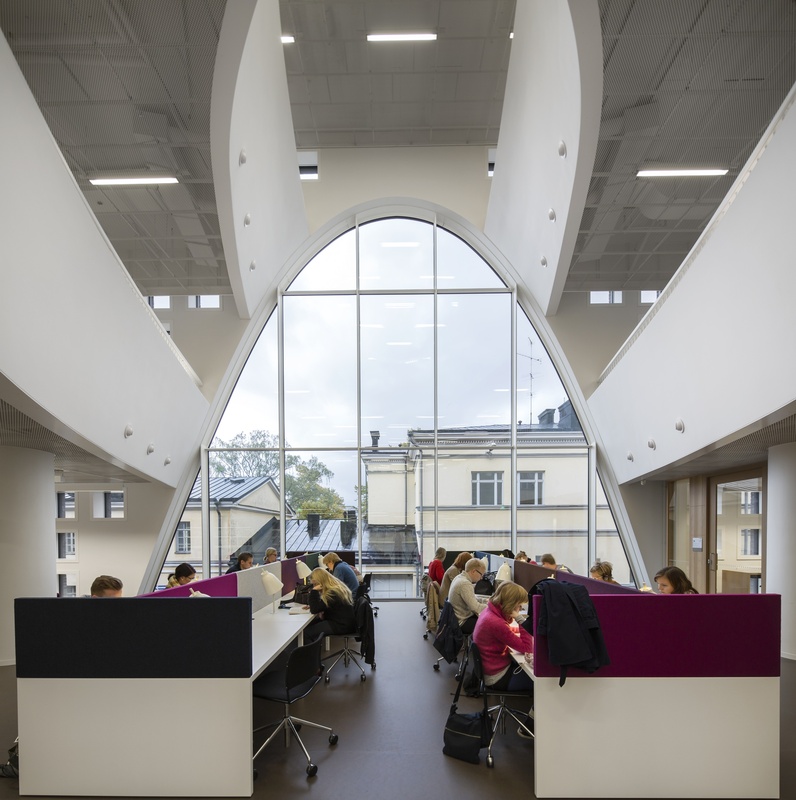 The American Resource Centre, Statistics Finland, and a European Documentation Centre are also operating in Kaisa House and complementing the services of the library.